Hello Computers produce the boldest ideas with new technologies. “The Expedition looks very impressive, it was a smart decision when we started to work with Hello Computers and Optoma." “The Optoma projectors look great, very bright and they perfectly fit into the surrounding space." Задача: To inspire and bring the powerful wonders of magic to the Central Children Store, Moscow. Решение: Optoma provided a sensational, crystal clear, magical solution for the thousands of children and parents that visit the Central Children Store. Hello Computers installed 18 GT1070X models in the Central Children Story, providing children with a truly memorable experience. With a Full HD 1080p resolution, amazing colour and integrated speakers, these projectors displayed the most magnificent display of wonderland. 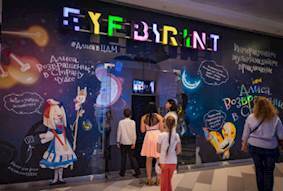 Результаты: Faces of wonder, inspiration and astonishment fill the Central Children Store thanks to Optoma’s projectors. Gennady Sokolov, Head of Marketing at the Central Children Store stated: “The Expedition looks very impressive, it was a smart decision when we started to work with Hello Computers and Optoma." Hello Computers produces the boldest ideas with new technologies. It was given the responsibility of selecting the best fitting AV company to transform the Central Children Story into a magical wonderland. The fairy tale loved by the whole world needed to be magically represented through interactive projections and technologies of augmented reality. Optoma has created something that hasn't been seen or done before with thanks to Hello Computers and Central Children Store. Hello Computers installed 18 GT1070X Optoma models in the Central Children Story, providing children with a truly memorable experience.Iinteractive walls, magical lights and giant pencils now inspire thousands of children and parents. One of the worlds most loved and treasured fairy tales has now come to life. You can touch the miracles that come to life from breaking teapots with hedgehogs to drawing with giant pencils. 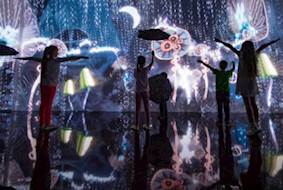 Huge interactive projections on the walls allow children and adults to actively participate and feel transported into another world. 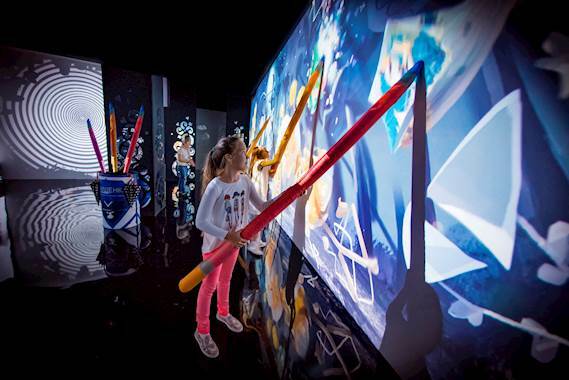 With ten interactive zones involving a huge number of adventures, children and even adults can enjoy a wonderland brought to them by Optoma. The Central Children's Store is the place visitors come to escape the real world and step foot into an adventurous wonderland. Hello Computers stated: “The Optoma projectors look great, very bright and they perfectly fit into the surrounding space." Additionally, Gennady Sokolov, Head of Marketing at the Central Children Store said: “The Expedition looks very impressive, it was a smart decision when we started to work with Hello Computers and Optoma."